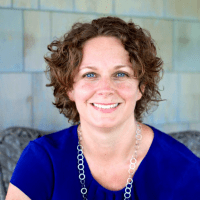 Kate Hanley is an author and editor, ghostwriter, and personal development coach. 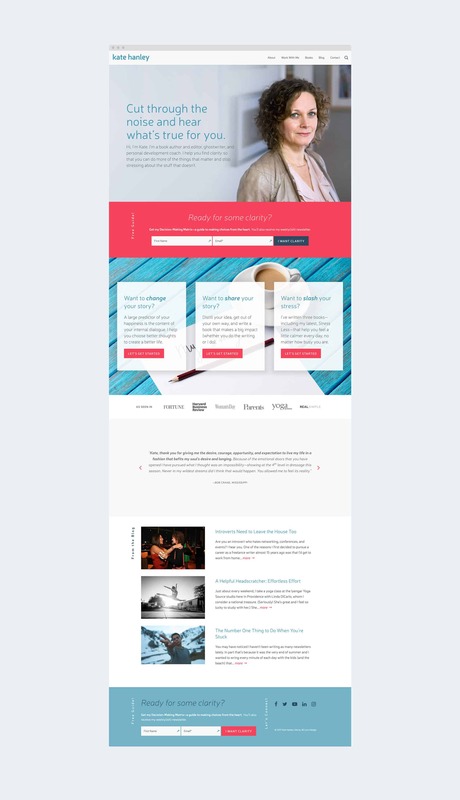 Kate Hanley wanted to rebrand her business, MsMindbody, as Kate Hanley and her existing WordPress site was showing its age. 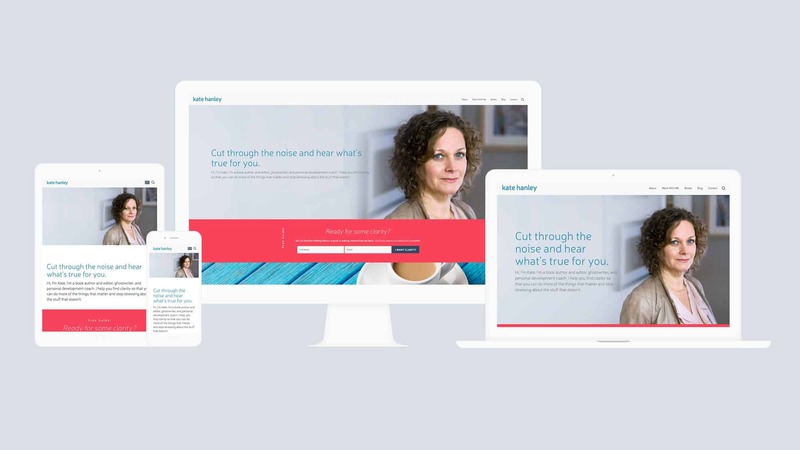 Kate wanted a fresh new website to integrate her new brand and work harder for her. 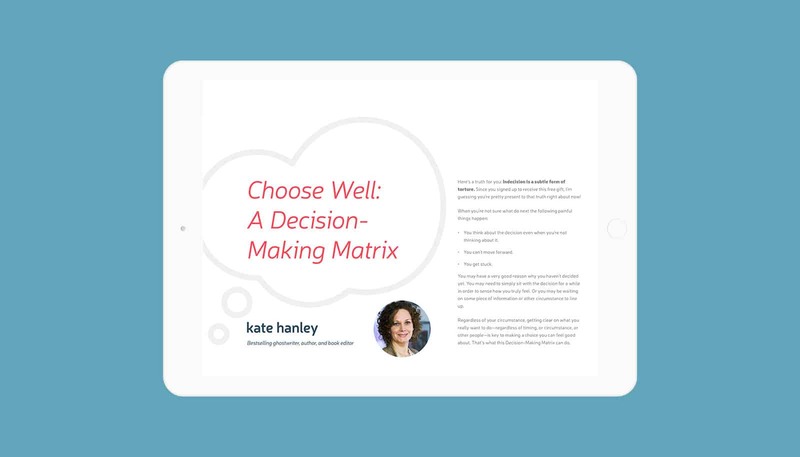 Since Kate works with all kinds of clients and does a lot of different things—ghostwriting books for well-known doctors, editing manuscripts for self-publishing authors, and life-coaching clients—she needed her site to compel people to join her list via multiple calls to action. I created a website design including a type-based logo that clearly defines her core service areas and calls to action. The design has plenty of white space and pops of color. 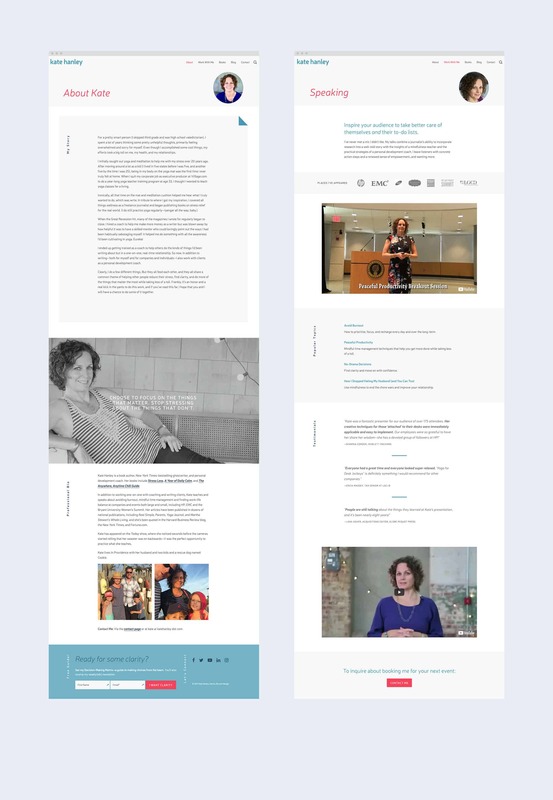 I also built a custom WordPress website that allows Kate and her assistant to easily blog and make edits. To increase lead generation, I created two PDF downloads as well as a responsive, 1ShoppingCart newsletter template and social media graphics. 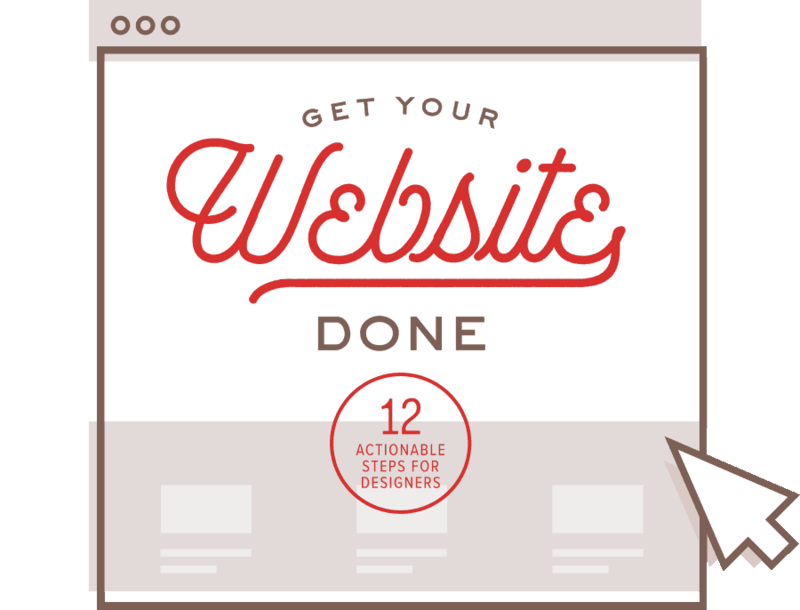 I also provide ongoing WordPress maintenance.